The 10 year old 4th grader Timmy Burch is a popular character from “South Park.” His character became controversial because Timmy is mentally handicapped. The trouble began when some execs at Comedy Central felt that the series discriminated against the handicapped by showcasing Timmy in episodes that promoted stereotypes and slurs such as “cripple fight.” Comedy Central considered removing the character from the series because of the high potential for public controversy. 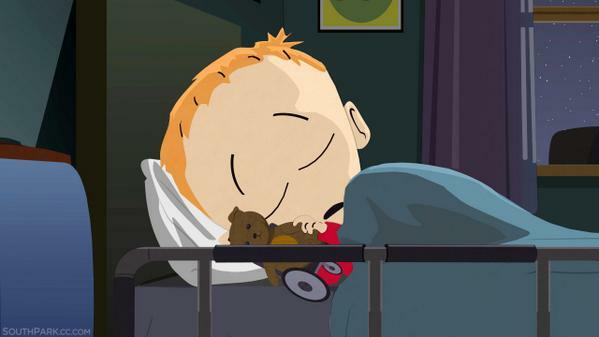 Trey Parker who provides the voice for Timmy was joined by Matt stone in a campaign to keep the character on the show. They pointed out that the other children in the show treated him as an equal. This truly made a positive statement that turned the tides for the fate of the character. Initially Timmy was presented as having a mental handicap. As the series progressed, the character became more integrated into the show with fewer potentially offensive references turning into descriptions that referred to him as being “disabled,” rather than “crippled.” We’ve come a long way in society and isn’t South Park a fairly accurate representation of what goes on in our public schools and in society in general? It examines important social topics through its satirical approach that is aimed at both entertaining us and making us consider just how messed up our social attitudes can be. Timmy has some characteristics that are unflattering, but they do actually exist in some kids with disabling conditions. It’s impossible for “South Park” to white wash important topics and they present things in their harshest form so yes, we’re going to see representations of things that are stereotypical. We’re also going to be exposed to discriminatory comments made by kids because it’s what happens in the real world. Is this meant to reinforce negative social behaviors? Come on, let’s all admit that “South Park” exists to poke fun at the stupidity seen in society. It’s actually a good way to get people thinking about thoughtless remarks and discriminatory beliefs. The show does show how good Timmy is at operating a computer. Stone and Parker were successful in showing that Timmy is actually needed on the show. How bad would it be to leave a disabled character out of the show because it may be offensive? We realize that execs were worried about the other kids treatment and use of inappropriate language towards Timmy could offend viewers, but instead, it opens up a whole new dialog about how disabled kids in school can so easily be discriminated against. Just the same, “South Park” writers have done an amazing job of showing how kids can go the other way and actively seek to be inclusive, acknowledging differences in kids with similar conditions, but also standing up for their rights, or at a minimum, treating them like they would anybody else. Timmy is a necessary character in the series for these reasons.